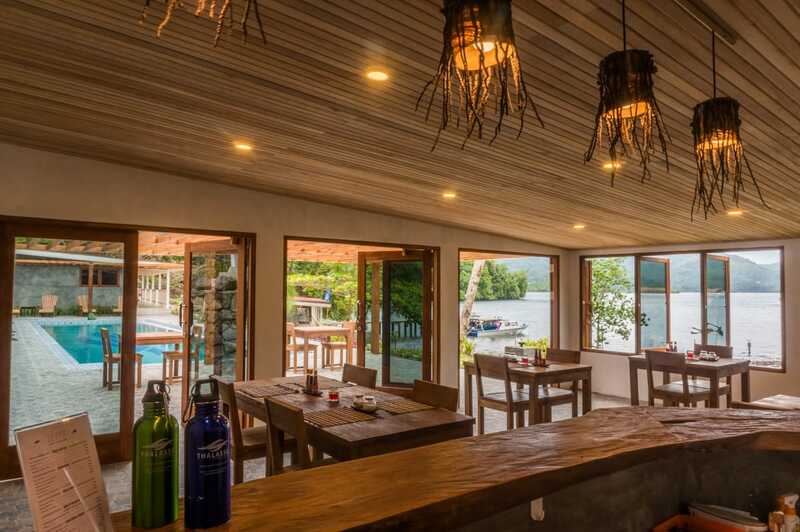 Since its opening October 2017, Thalassa Dive Resort Lembeh is well underway to becoming a fan-favorite among both repeaters and new guests. If you’re planning your next diving trip, you can combine your stay between Thalassa Manado and Thalassa Lembeh to dive on either coasts of North Sulawesi. In this article we’ll take a closer look at Thalassa Dive Resort Lembeh. 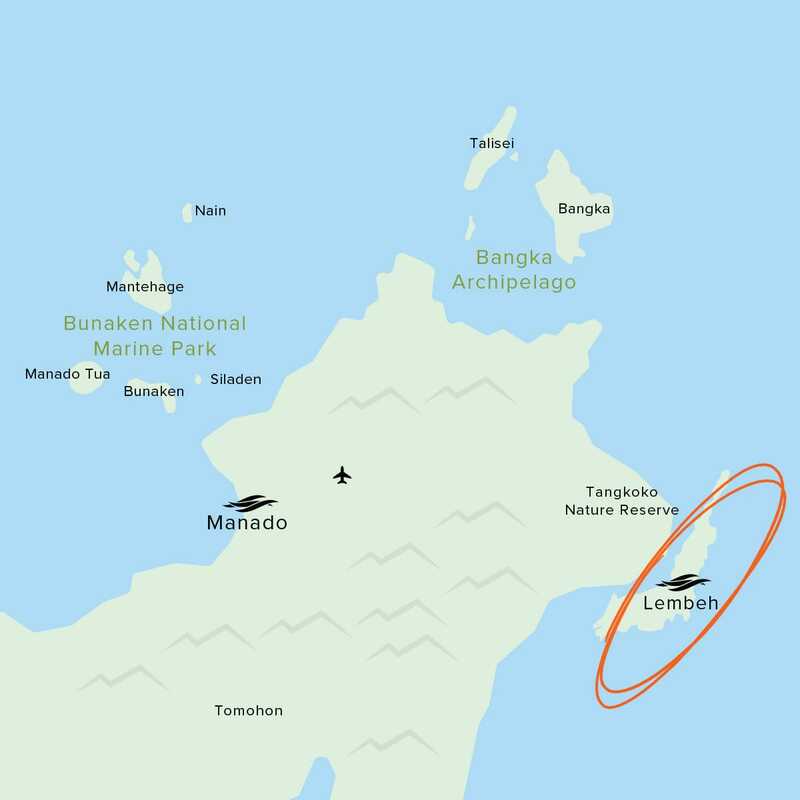 On the east coast of North Sulawesi, the island of Lembeh sits a short distance from the mainland, and our resort is accessible by a 15-minute boat ride from the harbor town of Bitung. Lembeh is a bit skinny: about 4.8 kilometers at its widest point, and some 22 kilometers long. It’s green and lush, with tall palm trees gently swaying in the sea breeze. 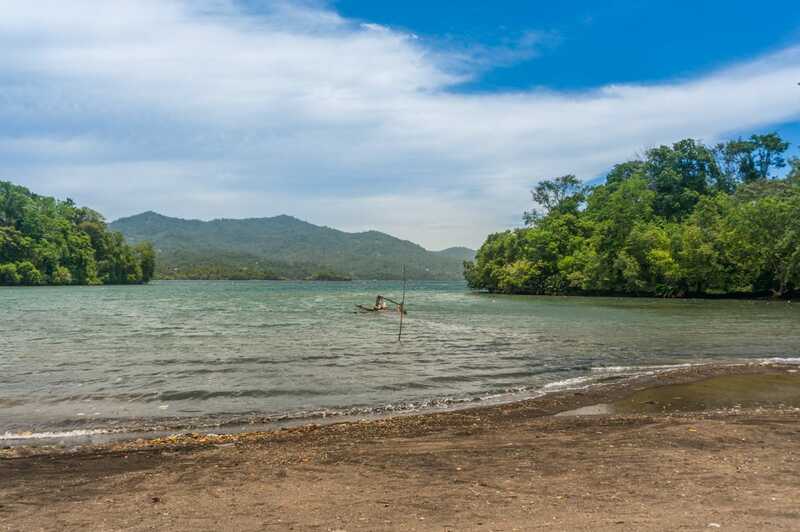 The body of water between Lembeh and the mainland is known as the Lembeh Strait, which is of course renowned for its enormous variety of underwater creatures and critters. If you’re a macro photographer, you will go home with some real treasures on your SD card! It’s striking how different the atmosphere is compared to our resort in Manado, because here in Lembeh there’s that sense of “a Pirate’s life”, maybe because of the black volcanic sand beach straddling a quiet cove, with the remains of a wooden ship right in front of said beach. If you squint, you might just see captain Jack Sparrow clutching a bottle of rum! The resort is built up on a terraced slope, with all bungalows overlooking the sea. The dive center and rental equipment area is right next to the jetty. Our main restaurant is called the Santai, meaning “relax” or “cool off” in Indonesian. We built the Santai as a spot to hang out with a cold Bintang and just stare out into the Lembeh Strait, with a gentle sea breeze to accompany you. Santai’s contemporary style is mixed with echoes of traditional life, giving the place the feel of a boutique resort. Our chef cooks up delicious meals in the Minahasa tradition with a modern twist. Under a tropical roof of palm leaves, the Sabar lounge directly overlooks the beach. If you want to relax, this is the place to do it. Our famous Pizza Tuesdays in Manado will soon be a reality in Lembeh as well, as we are building our wood oven at the Sabar lounge . Bonus points if you know what Sabar means! 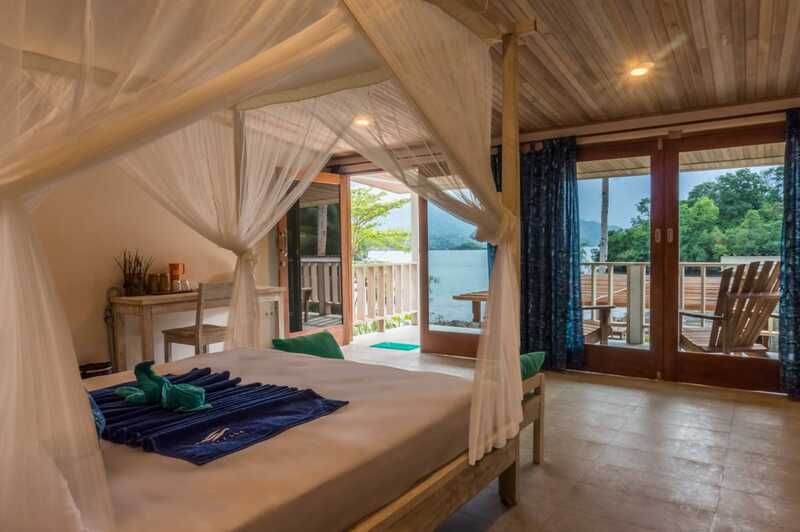 Thalassa Dive Resort Lembeh boasts 9 double or twin bungalows and three single deluxe rooms, equipped with a fridge, amenities and a walk-in closet. On the spacious, private patio in front, relaxing with a good book and a sea view is never a bad idea, but if you do fancy “going out”, the Sabar and Santai are only a short distance away. The single deluxe rooms share a common veranda. Our small dive center is right next to the jetty, so you can just exit the boat, drop off your diving gear and move on to enjoy the rest of your holiday. Our compressors fill up tanks with either regular air or Nitrox, and for those not ready to buy their own equipment yet, rental gear is also available. 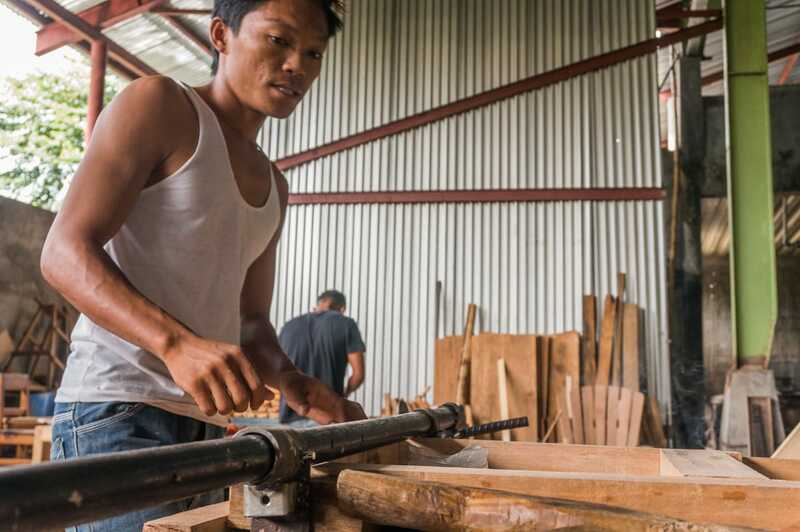 All of our furniture was hand-made in Bitung by our good friend Heintje and his team. This means we keep all the work in the hands of local craftsmen, so we don’t fill pockets of the big furniture companies of this world. 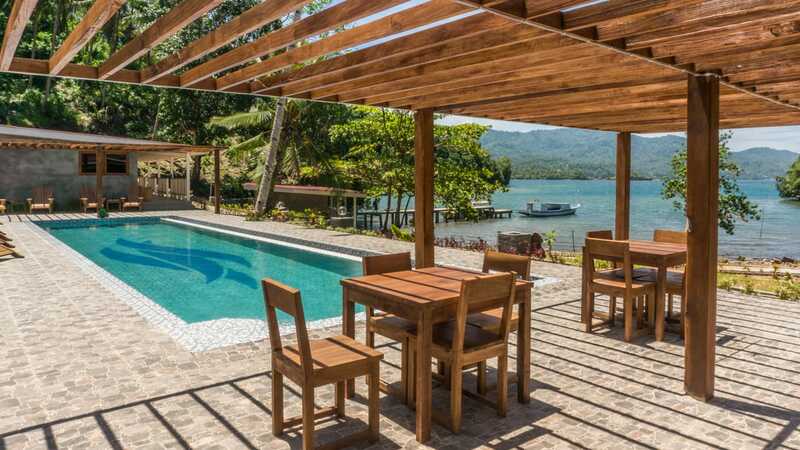 If you are planning to pay North Sulawesi a visit, why not check out Thalassa Dive Resort Lembeh for something different? We’ll be waiting for you!